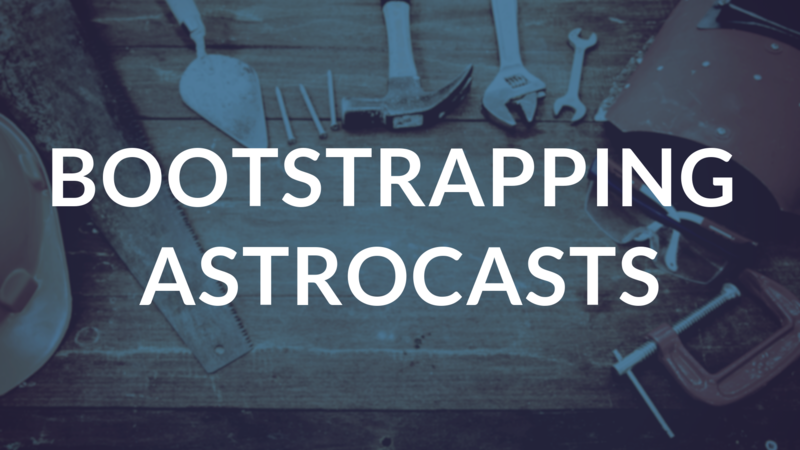 In this very first Astrocasts session, we take a look at working on Navigation using Tailwind CSS and how we can use Twitch Webhooks to control when the Twitch player is automatically loaded on the site. In this session, we experiment with API Platform Admin in our new Symfony 4 application. We want an admin section for free so we are going to give EasyAdmin a go. We also take a crack at setting up some iCal stuff so that we can build a nice schedule page and offload the actual scheduling to Google Calendar. In this session, we look at our Video Web Component, starting a static chat page and modeling Live sessions. In this session, we extend our model by adding Projects and Sessions. We also start looking at dealing with slugs and handling numbers. In this session, we take a look at the Astrocasts header navigation design and start applying Tailwind CSS styles to match. In this session, we revisit the work we did with Web Components previously. The goal is to remove the usage of shadow DOM as it was quite messy and probably not needed for our purposes. We also start recording video playback progress for users using the Vimeo Player API. In this session, we work on displaying upcoming sessions and doing more work with the Vimeo API. In this session, we continue our work with the Twitch API and Twitch webhook subscriptions. We also start looking more at using Pusher. In this session, we look at how we can use the Twitch API to update metadata from our Symfony application using the PHP API.